REMINDER! If you missed the Kickstarter, you can still pick up one of a handful of pre-order bundles on Storenvy. And they include a digital download of Crimson Rhen of the True North #1 (young Rhen’s origin story) when it’s scheduled to be released this December. Here the link again. Again, color coming soon. We’re up against it, trying to get some Disney freelance work done this month — so things may be a bit wonky for a few more weeks. Yes, we still have some pre-order bundles available in our Storenvy store — but they’re going FAST. Rhen’s ship would be a logical place to look… Love you, Mia! Ooh, SNAP! Mia read his beads. And Mia for the WIN! 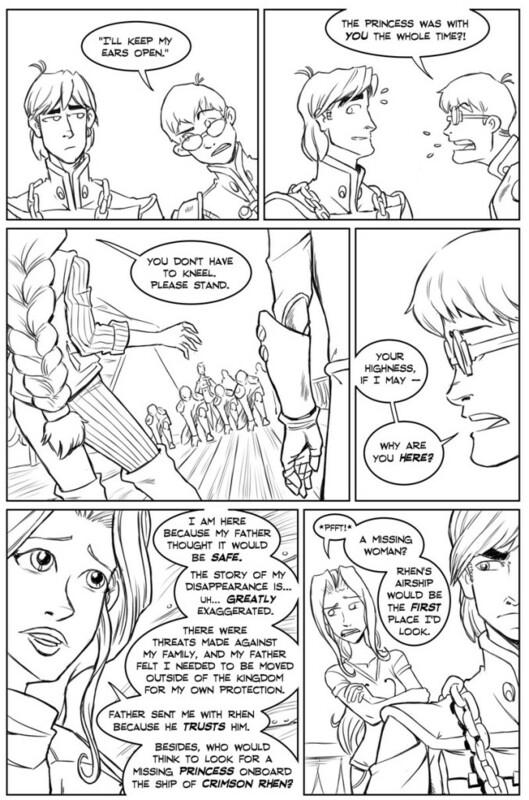 Honorable mention goes to Xzavier, because his dialogue is just awesome on this page. 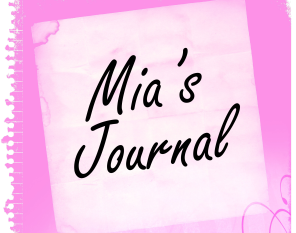 One missing princess mystery solved, and Mia with an epic snark! I love this comic. The only question remaining is: with Elaina’s secret out, how is she going to stay hidden? I cannot love that last panel enough! not only for Mia and her awesome snark but for Rhen’s face. That expression is priceless. Well played! Lol! Mia thought he had a woman on board the first time she saw his boudoir! Who wouldn’t suspect him? Zing! Guess it could be more of a hidden in plain sight thing Mia. 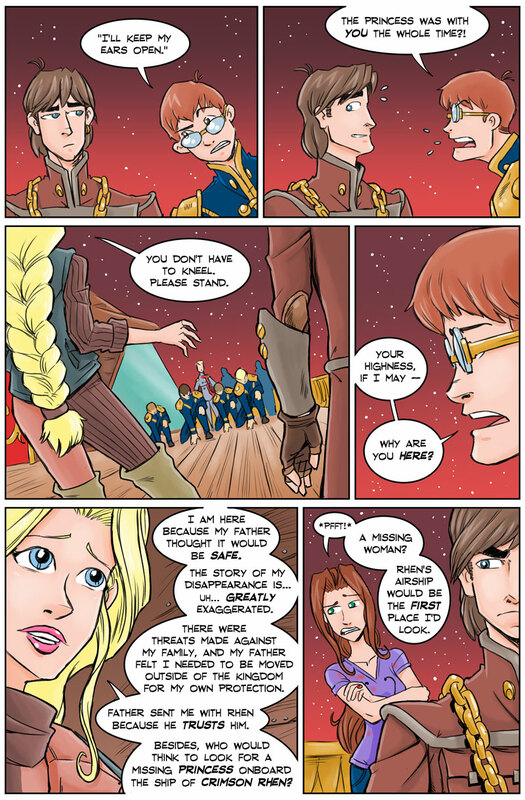 Either that or maybe the baddies already thought of the princess being with Rhen, but then realized that she couldn’t be on board for more then a day. Thanks everyone, and be sure to check out the Roast of Crimson Rhen this Thursday. Color? or are we going w/ the B&W for a little while? No. We will add the colors soon. Thom is working on Uncle Scrooge books for Fantagraphics right now and it is putting us behind a bit. To keep the story updating, we are posting B&W and adding color when we can. If I win the $400 million MegaMillion Lotto, can I just pay you guys to work on Shadowbinders full time so I can get updates faster? Yeah, we’d love to update faster. But like Kam said, I’ve been juggling some time sensitive freelance projects over the past few months to keep the lights on. We’ll do our best to get back on track when we can, though! I would say that is a yes to your question, Gallie. 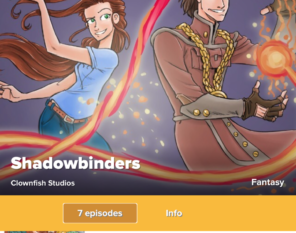 IF you win the $400 Million MegaMillion Lotto (or some other Lotto where you get a lot of money) and you want to pay them to work on Shadowbinders full time, then you can. Since you currently can’t they are working on time sensitive freelance projects to make ends meet. I have my list of things I would support if I had the money to do so. I want to set up one of my former co-workers with her own bakery. I tired to convince her that she needs an entire restaurant, because she makes yummy dinner food, too, but she just wants a bakery. 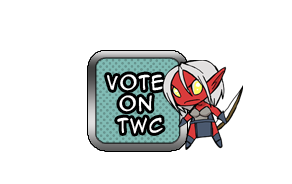 Currently second on the list is become Thom and Kam’s patron so that they have to work less on other things and thus have more time for Shadowbinders (and other things probably). Another one relates to another comic (owned by a comic book company rather than individuals) which actually has funds (although how much they leave you to wonder since they have issues with paying artists and other members of the creative teams), but I have a feeling even if I had the money I wouldn’t be able to do anything there. It seems to have other issues involved. There are other things, but the point always revolves around if I had the money, which I don’t. Maybe one day. You never know. @Jack Of Clubs: That would be the killer.